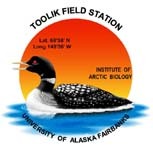 Lakes and streams in the foothills near Toolik Lake, Alaska, at 68 degree N have been studied since 1975 to predict physical, chemical and biological impacts of future global change. Experimental manipulations include whole lake and continuous stream fertilization as well as removal and addition of predators (copepods, lake trout, grayling, sculpin). Based on our evidence the following scenario is likely. Warming thaws the upper layers of permafrost and streams and lakes become enriched with phosphorus. Streams respond quickly with higher production of diatoms but animal grazers keep biomass changes to a minimum. Fish productivity also increases. If phosphorus levels are too high, mosses become the dominant primary producer and sequester all of the nutrients. Growth of Arctic grayling under the present conditions only occurs in summers with higher than average stream flow. The present population would be stressed by warmer temperatures. When higher phosphorus levels reach lakes and cause slight eutrophication, the number of trophic levels will increase, especially within the microbial food web. Warmer lake temperatures increase stratification and, combined with entrophication, could decrease oxygen in the hypolimnion. Oxygen levels will also decrease in winter under the ice cover. Eventually this habitat change will eliminate the lake trout, a top predator. Removal of lake trout results in a striking increase in abundance and productivity of smaller fish, including small lake trout, and the emergence of burbot as an alternate top predator. Large species of zooplankton will become virtually extinct.